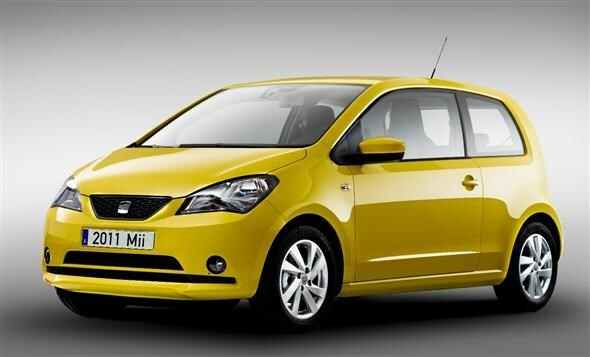 Following on from the Volkswagen Up and Skoda Citigo, SEAT has revealed its version of the small city car, the Mii. The compact model is around the same size as the Fiat 500 - 3,550mm to be precise - and along with the VW and Skoda models, SEAT is hoping to turn up the heat on the little Italian hatch. Of course buyers will be offered the same engine choice found in the Up and Citigo. There’s just the one three-cylinder 1.0-litre engine with either 59bhp or 74bhp. There will also be Ecomotive versions of the Mii with emissions as low as 97g/km, making it free to tax. 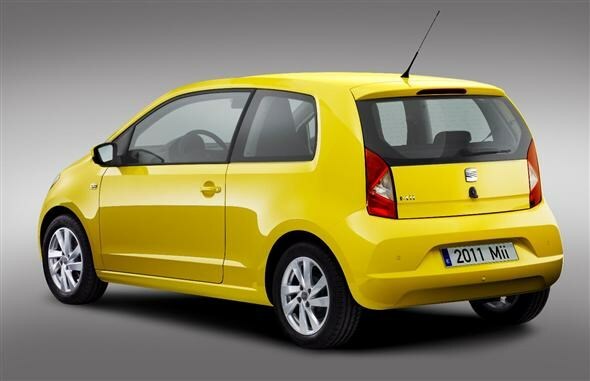 It will be available first as a three-door and offered as a five-door model later in 2012. Now, we’ve been through all this before with the VW and Skoda versions but the important stats include 251 litres of bootspace which expands to 951 litres with the rear seats down. The big development for all three of these cars is the new safety kit. In the SEAT it’s known as City Safety Assist. This system warns the driver is there’s threat of an accident at speeds up to 18mph. If the driver doesn’t react then the Mii will break automatically. The car has obviously been given a more SEAT spin on the outside to set it apart from its VAG counterparts, with some rather large headlights dominant at the front of the car. 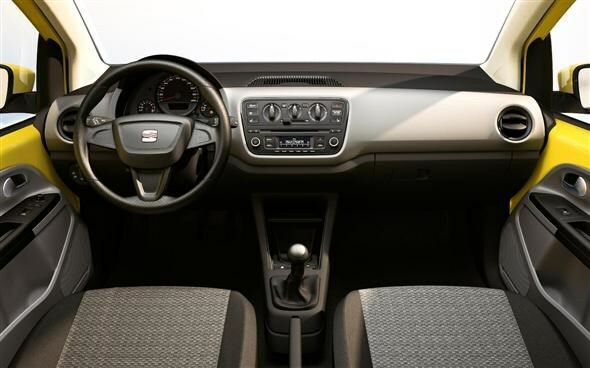 Inside the Spanish company claims the car offers sporty chic. Also available is a mobile five-inch screen that doubles up as the sat nav, hands-free phone systems and on-board computer. The Mii is set to go on sale in the UK in spring 2012, and while no prices have been confirmed yet you can expect it to start around the £7,000 to £8,000 mark.